Ajay Devgn was nothing like the quintessential Bollywood hero but against all odds, he proved his mettle and became the young generation star of Bollywood. When Ajay Devgn debuted in 1991, with the action-romantic drama Phool Aur Kaante, it made him an action star overnight. Well, why not. Who would've possibly thought of performing a stunt where you are balancing yourself while standing on two 'moving' bikes at a relative distance challenging gravity, speed and everything else that defies logic. But Devgn pulled off that stunt with much ease. Years later director Rohit Shetty borrowed this particular stunt and recreated it in his rib-tickling comedy franchise Golmaal in which the National Award winning actor is seen pulling it off in different variations. Though Devgn started off his career as an action hero in Bollywood, he proved his mettle and acting prowess every time when he portrayed varied meaty characters on the silver screen, shutting down haters and trollers. Movies like Zakhm, Hum Dil De Chuke Sanam, Kaal, Golmaal series, The Legend of Bhagat Singh, Deewangee, Omkara, Singham were the turning points in his career. Some of these even helped him to win the coveted National Award and Padma Shri. When Ajay entered Bollywood, he lacked the quintessential hero looks and that charismatic Bollywood hero personality (he was mocked for his dark skin, which clearly shows Bollywood's obsession with fair-skinned heroes) which the Hindi film industry mainly thrives on. He was dark-skinned, looked a little clumsy when couldn't dance well and neither could express himself in front of the camera. But he broke the conventional ways of filmmaking and established himself as the young generation star of Bollywood then. Not to forget his intense eyes which are highly expressive do most of the talking. While Ajay made his debut 25 years ago, he is still enjoying a stardom like never before. He is the unsung hero of Bollywood who is yet to get his due in the industry which is said to be ruled by the three Khans - Aamir Khan, Salman Khan and Shah Rukh Khan. His down to earth nature is his biggest strength and the actor has never thrown any tantrums on the sets of any of his films till date. Well, some do call him a prankster, but that's about it. He is a self-made actor has very few friends in the industry.In the past two decades, Devgn never believed in marketing himself or gain popularity through unnecessary gimmicks. When everyone is eyeing on Bollywood's two largest movie camps, Yash Raj Films' and Karan Johar's Dharma Productions, Devgn is yet to star in a movie made by these production houses. Well, for those uninitiated, the award-winning actor was embroiled in controversies for his infamous fight with Yash Raj Films banner and Karan Johar over his film release. But he never stopped working hard towards what he wanted to achieve. Bollywood has changed over the past few decades and with it changed the ways of filmmaking and promotional activities. Though Devgn found it difficult, he tried to keep himself as relevant as possible in today's age. And we can say that he did a very good job with that. He has successfully managed to pull himself out of his typical action hero mold and turned himself into a versatile actor by showcasing his wide range of acting skills in movies like Drishyam, Golmaal and his latest outing Raid. He also proved himself as a bankable star whom producers can blindly gamble with new projects. Over the past decade, Devgn pocketed seven hit films which made their way into the coveted Rs 100 crore club and were loved by the audience as well. His latest outing Raid, which was kept low on promotional activities is also inching towards scoring a century at the box office. 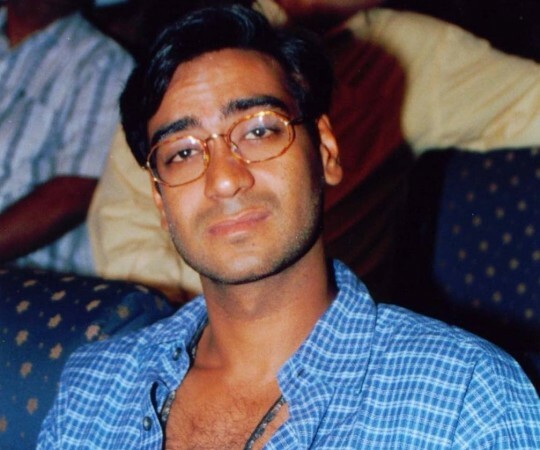 Many actors have gone through the ranks of fame and fortune, but Ajay was destined to be loved by millions despite his unconventional looks. Here's wishing Ajay Devgn a happy 49th birthday.